Just like they have done every year, the celebrations along with an epic fireworks display, was nothing less than amazing this year. The New Year’s Eve festivities brought with it an atmosphere that was exciting and optimistic. However, as we all know, nothing comes for free. 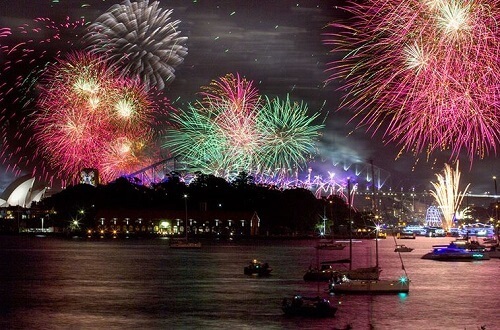 In fact, the celebrations cost the city council a whopping AU$7 million. Clover Moore, Sydney’s Lord Mayor, claims that the money was well spent and it should be considered as the council’s gift to the city. Moore stated that the event was an absolute success. Additionally, she mentions that it was worth around AU$130 million to the local economy. She further mentions that the money spent was an excellent investment as it provides a way for the community to come together and celebrate a moment in their lives. Crowds swarmed in by the masses, to the Sydney harbour. With a sigh of relief, it can be said that for the most part, everyone was well behaved, thanks to the large police presence. It is estimated that over a million people made their way to the city centre. Due to the sheer size of the crowd, the New South Wales Police send thousands of officers to patrol every corner of the CBD. The event was so huge that roads were closed and people had to pass a serious of barricades and checkpoints in the lead up to the cities brilliant midnight fireworks display. Horse-mounted police, riot squads as well as canine units were all present at the New Year’s event. This was put in place as a deterrent to both terrorist attacks and anti-social behaviour. By the time it hit 2 am in the city, the police had made seven arrests on the grounds of assaulting officers. More so, another six arrests were made for offences such as fighting. We at Pokies.com, are definitely excited to see what this year has in store for us. Stay tuned for all of the best trending news.